Complete the form below to find out how offering Audit Protection to your clients can add to your bottom line. We have seen Tax Pros add from $10,000.00 to as much as $85,000.00 in year one without doing any extra work. Most accountants don’t charge to answer IRS notices or help their clients with audits. 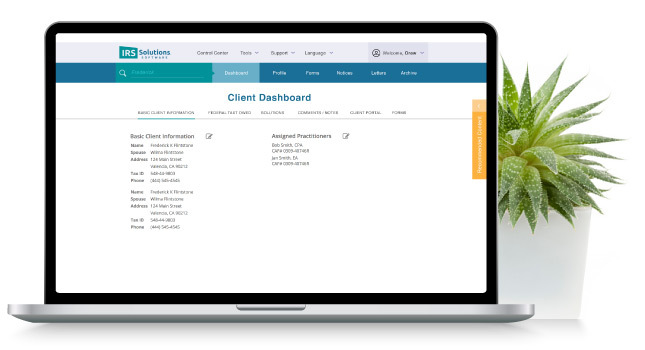 With IRS solutions software at your fingertips handling IRS issues is a breeze!! Complete the form below to find out how much more you could add to your bottom line by adding Tax Resolution to your services. 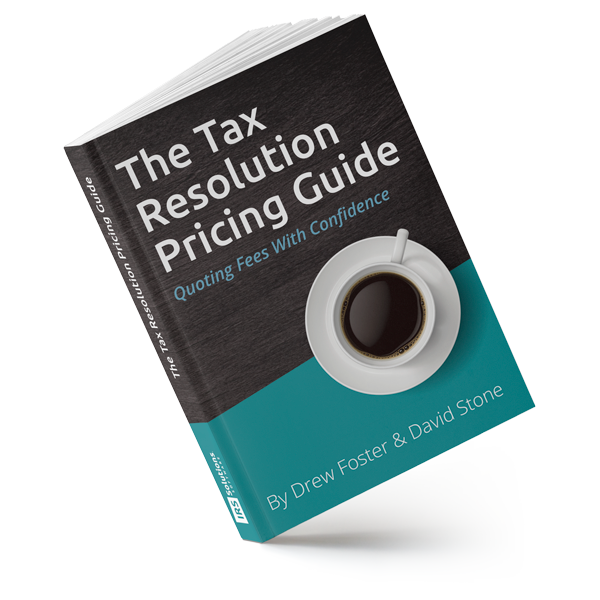 Download the pricing guide below. 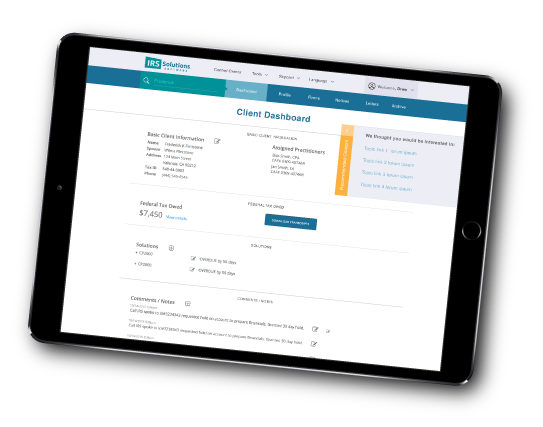 Sign up today and add 20% to your bottom line this tax season and get the bonus Audit Protection Kit to jumpstart your tax practice. Members have access to a variety of informative how-to videos. Watch them anytime to learn how to use the system and gain information and insight that will assist you with cases. Founded by David Stone a former IRS Revenue Officer we answer your questions and give you insider advice. I used the transcript feature today....very impressed how that worked. Thank you for a great product! I had tried other programs but found the IRS solutions to be easy to use. The customer service was great. They answer promptly and walked me through any questions I had. The tools they have incorporated saved me hours of work. Thank you for the use of your program IRS Solutions. 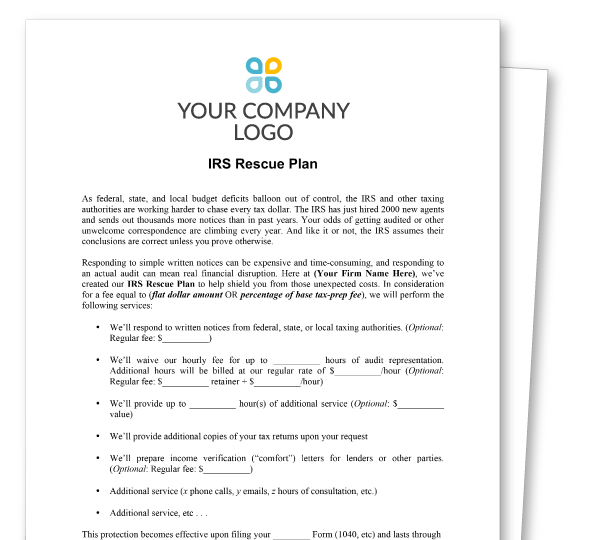 I’ve mentioned your product and service to various tax professionals who needs a resolution program to assist in their work. I know each has their own preference similar to tax preparation software, but as a former user of a few competitors, yours was a wonderful change for the better - in use, functionality and cost. We are working with a client who has what we thought was a complicated OIC/installment agreement request. The software made the process very simple and us along with our client are happy with the results. Because the software is so user-friendly and gives us multiple avenues to go down we have greatly decreased the amount of hours needed to analyze and present a case. Thanks. I enjoy using IRS Solutions software because it makes light work of helping taxpayers who are in sideways with the IRS. I especially love how your software populates the forms with information already entered. I’m just beginning to scratch the surface of all of the things that the software will do and track. Also, I attended one of your monthly member case study webinars, and it was a great primer on the topic (Levys). I look forward to attending these even during busy season, they are so packed with great information. Thank you!